Two days into the New Year, Allan Wadi a student and a social media user, was handed down a two year sentence for posting inflammatory remarks on the internet and ‘insulting the president’. He pleaded guilty. Yet this is part of an ongoing social problem, which has existed since the election issues seven years ago, and has gradually spread online. The National Commission on Integration and Cohesion (NCIC), which is mandated to foster reconciliation of Kenyans from different ethnic, religious and political affiliation in the country, has found it hard to tackle this challenge. In fact, the commission has been on the defensive recently following allegations that it was applying the law on hate speech selectively. Moses Kuria, a government friendly Member of Parliament had been accused of posting updates on his social media accounts against a certain Kenyan tribe. And many believe the commission did not effectively condemn this politician, as it did Allan Wadi, and the commission has simply applied double standards. Muthuri Kinyamu, a social media strategist and analyst, said that prosecution of those who post hate speech messages on social media is fine, but it’s too little. “Monitoring digital media landscape is a rather reactive effort. What NCIC should be doing is more sensitization and advocacy to educate users. It all starts with the influencers and gatekeepers who have access to information,” Kinyamu told IDG Connect. With so many social media users in the country, the commission will find it impossible to go after those perceived as posting hate messages. All in all, Kinyamu agrees that the cohesion team has their work cut out. All it has are laws which are poorly implemented. It will also need to crack down on hate speech without curtailing the freedom of speech. Bloggers in the country have resisted the idea of having more laws to gag online media. Through the Bloggers Association of Kenya (BAKE), an organization that is representing the blogger community, online users have criticized the government for being intolerant to divergent views on social media. “The Kenyan Government is seemingly becoming quite intolerant of voices of dissent and dissident Kenyans who have taken to Social media platforms to exercise their freedom of speech,” BAKE said in a statement. So how then can Kenya handle this menace? Kinyamu proposes personal education and individual censorship. “You are responsible for what you tweet, to a large extent you are what you tweet so the content you post can be used against you,” he said. In some cases, pundits think that social media platforms should work with the government to pull down profiles that are abusive. In the latest case, Abraham Mutai, a blogger who was arrested for posting material revealing corruption in various county governments and high flying politicians’ involvement in Kenyan poaching, had his blogs and social media accounts erased. The bloggers association also recommends that the NCIC should come up with clear guidelines on what constitutes hate speech. “The circumstances and laws under which individuals are charged over their online activities need to be clarified. 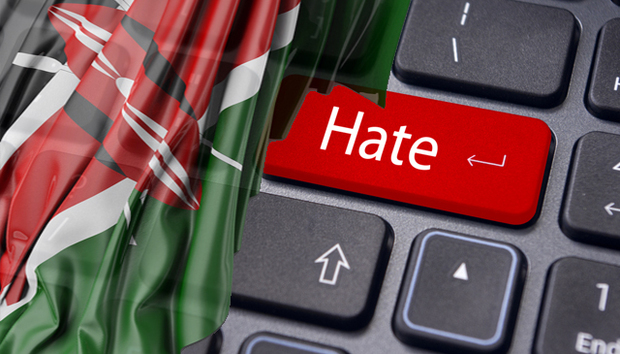 The National Cohesion and Integration Act has improperly been applied to take action against individuals accused of propagating hate speech,” BAKE said quoting recommendations on The State of Internet Freedoms in Kenya (PDF), published in 2014. Any observer will see how the trending topics on Twitter in Kenya have shifted from non-serious trends to more social-political issues. But as much as this is a good thing, which promotes a nation to speak out, with this freedom comes responsibility. Now for the Kenyan government, distinguishing hate speech and free speech is a fine line it will have to contend with in the era of social media. « A new, punchy BT rings changes again with EE deal - what next?